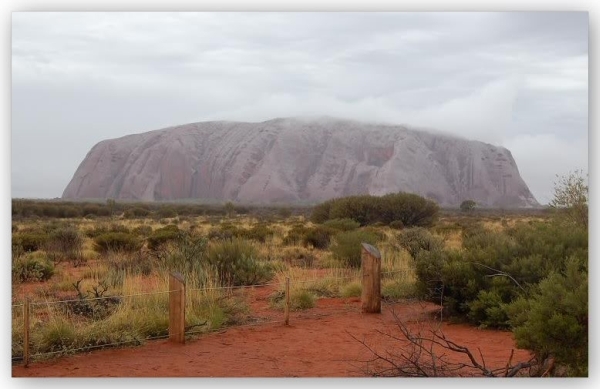 The Summer Solstice will occur at 8:32:08 at Uluru – Kata Juta National Park, South Australia. At this time, both the Sun and Moon will be positioned in direct relation to the Central Sun of our Universe. Conjunct Sun and Moon are Venus and Mercury. Pluto – agent of total transformation, is also in this sign. Jupiter dominates the setting from Cancer where Jupiter is “doing good” (it is exalted), and Mars is in the first house. All these planets point to a time of significant transformation for all the life forms that live on Mother Earth. Two years ago the Solstice heralded the end of the Mayan Calendar and the start of a new 26,000 year cycle in the precession of the equinox. Higher vibrations and light energies have been streaming to our Sun and to all the planets in our solar system. Earth is of course receiving energies from our Sun and the apex of negativity has passed. New energies stream to our planet via the stargates, which were put in place with the fall of Atlantis. These stargates have been raised and now allow the 5th Dimensional energies to stream to all the life forms on our home planet. The Sun and Moon at this solstice are located in Moola nakshatra, a constellation which also contains the central Sun of our Universe. It is from here that the new energies are flowing that will destroy the time of the negative forces holding humanity back (shakti of Moola is Nritti, the shakti to destroy destruction). These negative forces are within and without; within the human as self-limiting beliefs, and without as forces which seek to remove hope from humankind through mass media. Sun is Atmakaraka for the solstice chart, so the soul force may profitably take up the energy to destroy and bring about destruction of all thoughts and energies which limit and hold humankind back. True humanness is humans being kind to their own – and all other – kinds of life. It is also time to be kind to oneself. Moon is conjunct the Sun during the Solstice. Moon is presiding deity of the mind; the Moon in Moola nakshatra receives these energies which we may take to our advantage. Take time to clear out the forgotten cobwebs of the mind, the beliefs we learned as children, the beliefs that society in the past forced us to abide by. All life is moving into the 5th dimension, so if we take the broom to the cobwebs in the mind – disconnect from all outside phenomena (Ketu is ruler of Moola and has the shakti of disconnection) and take the energy this nakshatra offers and be with ourselves to examine our beliefs, our attachments, our attitudes, our behaviours. Nakshatras – stars – and planets, all reflect the light of the One Creative Source of All, for all in this Universe. This world, this universe, is simply light. It is the force of mayashakti (power of illusion) around the soul which causes us to see, hear, feel, taste and touch this 3D world we live in. This is the time of Ascension, and this second anniversary is gifted to us – for Mars is in the second house from Atmakaraka Sun, and Mars plus second house gives us energy to work at what we need to cast off from within ourselves and raise our vibrations to light, light, light. Mars is energy to take action. Saturn is in twelfth house from Atmakaraka sun. 12th house is a house of loss. Saturn is parivarthana with Mars, and so exchanges lordship of signs. Saturn here functions as time-giver, slowing matters down, reaching out to this transit for Saturn is within degree conjunction with the Sun and Moon. When this happens, there is a “trigger” effect, for whenever any transiting planet hits the degree of another transiting planet (or a natal planet for that matter) that there will be an effect of some kind – like pulling a trigger, or flipping a switch. As Saturn is a planet of self-discipline, self-control, self-sacrifice, and is the giver of time, at this time of Summer Solstice, Saturn is guiding us toward a significant change of attitude to the outer world. Time is needed in the inner world, to consider what is important, what is evanescent and ephemeral, and what is of (both) internal value and monetary value to us. This solstice is a good time to turn inwards and reflect on what is of value to us personally, and what is unnecessary in our lives. Saturn gives time. Planets are forces of light within the human; they may raise us up, they may pull us down. It all depends on how we use them. As Sun is the Soul Force during this solstice and giver of light, we may take up the energies offered by the Sun – we may do Surya Namaskar, read or listen to Aditya Hrudayam – the Consolation of Rama, read and listen to Suryarya Stotram, or Surya Astakam, all of which are available on Youtube. Mercury and Venus are also conjunct the Sun in Sagittarius, and reside in Purva Ashada nakshatra. Purva Ashada is the shakti of waters, the power of invigoration. This nakshatra provides additional energy for our efforts. Purva Ashada brings about purification and regeneration and we may take this energy for inner purification. Purva Ashada is ruled by Venus, and Venus is very much in its own element here. Mercury and Venus are friendly toward one another. Venus is a guru and is guru to the masses caught up in Maya, so we may propitate Venus to learn where we are caught up in Maya and take actions appropriate to honouring Venus in order to facilitate our progress forward in the 5th Dimension. Mercury in the 5th Dimension is communication with cosmic beings, angels, devas and our personal spirit guides. We may seek the aid of Mercury to assist us with the highest possible cosmic beings to guide us in our review of our attachments, attitudes, behaviours, values and release of all that which is self-limiting. Mercury can be very thorough with data and information in this regard. So this time of solstice is a time to take our time, take our inner review of the last two years, and self-audit our attachments, attitudes and values, and see where we have been taking up the new vibrations, new energies and new light that has come through to our Universe since the solstice of 21 December 2012. It is also time to update our B.S. Detector, as much misinformation is being generated in mass media. We should at all times look within to our own source of light, our own intelligence and discrimination when any material is circulated which destroys hope, breeds fear and makes us feel powerless about our future. There are many timelines to the future and it is up to us, for the Cosmic Beings assisting humanity always tell us that where we are going in our lives is a choice. Choose for the Good of the All, choose light and love, and spread light and love around. If you need help, always call upon the Angels, they are every-where, every-time and ever-ready to provide us with any help needed. 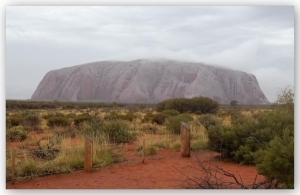 Regard this rare photograph of rain at Uluru, the home of the guiding spirit, Alcheringa. Alcheringa has told that He is the oversighting spirit of this corner of our galaxy, and the Oversighting spirit of all indigenous peoples. Alcheringa has advised that we may travel to places of high energy on the Earth to do meditation, and we cannot physically travel, then we may travel in spirit to these places to obtain the higher energies. Uluru is a significant place on Mother Earth for transformation to the 5th Dimension. It is one of the light centres, one of the main stargates for the transmission of the 5th Dimensional energies. All life-forms on Mother Earth will ascend to the 5th Dimension. The Summer Solstice will occur at 8:32:08 at Uluru – we invite you to travel – in body, in mind or spirit to Uluru for the purposes outlined in this note, to clean out your closets, take the broom to all that is self-limiting, and Celebrate the solstice with light and love for all.